Claiming to find uniqueness within one of the most unique places in the world is a conundrum in itself. Therefore during a recent media trip to Las Vegas, I was not sure what to expect. 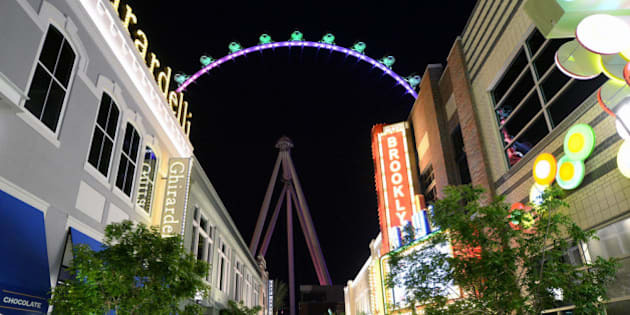 Turns out, most visitors, especially first timers, are so enchanted by the Strip, where the famed themed hotels and casinos are located, that they miss out on other attractions located on and beyond the Strip. This list showcases some of the unique experiences that visitors may not be aware of. There is no shortage of fun activities in the desert oasis of Las Vegas, Nevada. With big name acts and performances and the themed hotel attractions that draw millions of visitors from around the world (39.6 million per recent count), it is no wonder that Las Vegas is the most visited place on planet Earth according to this infographic published on Huffington Post. To put that in perspective, the total visitors to Las Vegas are in excess of all visitors to Disneyland and Disneyworld, combined! Claiming to find uniqueness within one of the most unique places in the world is a conundrum in itself. Therefore during a recent media trip to Las Vegas, I was not sure what to expect and what to present to Canadian readers, being that almost two million Canadians visit Las Vegas each year, representing the largest share of tourists from outside the U.S. according to statistics published by the Las Vegas Convention and Visitors Association. Turns out, most visitors, especially first timers, are so enchanted by the Strip, where the famed themed hotels and casinos are located, that they miss out on other attractions located on and beyond the Strip. This list showcases some of the unique experiences that visitors may not be aware of. I should add that this list is by no means conclusive and comprehensive. If you have an experience you want to recommend to other readers, by all means share your thoughts in the comments section at the end of this post. Additionally, I should add that while I have featured some of these experiences in further detail on my own travel blog (Larkycanuck.com), I encourage readers to do a search online to read what others have to say about these experience. And now, the list. Downtown Las Vegas has undergone extensive revitalization and features several attractions dispersed throughout its downtown. In fact, downtown is now most frequented by the locals and should receive the title of "The most Famous Secret Downtown in USA". 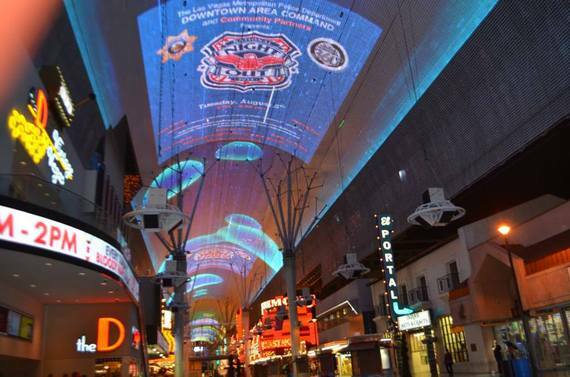 The redevelopment of Fremont Street began in the 1990's with the opening of the Fremont Street Experience in 1995 that converted three blocks of the road into a pedestrian-only plaza and offers visitors a spectacular light and sound show under a $70 million canopy. This entire area is closed to vehicular traffic and becomes an outdoor nightclub. The attraction is now also home to Slotzilla zip line that is 77 feet high and 850 feet long where you can zoom over a street party at speeds faster than 35 miles per hour. The famous shoe retailer (now part of Amazon) relocated in to the 40-year-old former City Hall building and invested more than $40 million dollars worth of renovations. It offers complimentary tours to the public (limited space and gets booked up well in advance). A tour of the space gives you insight on the workings of the creative class that occupy the space, as well as a glimpse in to the historical building and some notable artwork inside. You can book your tour by signing up here. 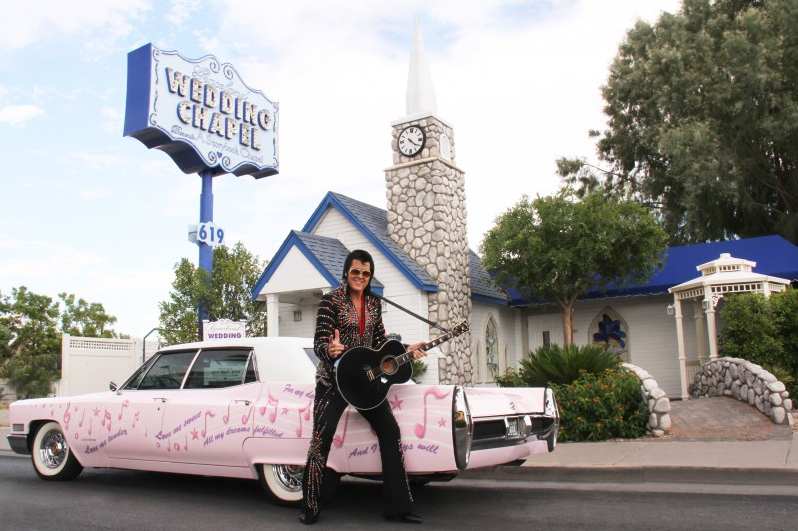 While there is no dearth of Elvis impersonators in Vegas, Brendan Paul is unlike most others because he has visited Canada (including Alberta!) 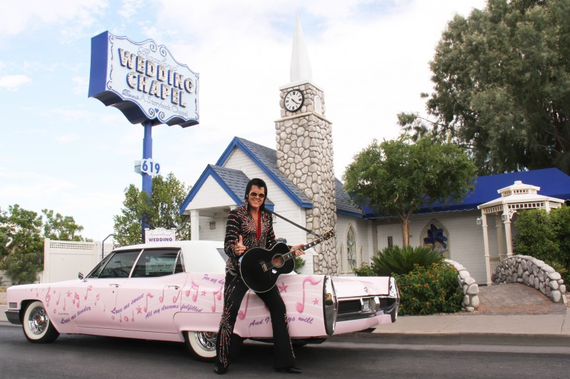 several times and has overseen the weddings of several Canadians, who represent yet again the largest customer base of the wedding chapel. The chapel is also located in Downtown. Downtown Container Park is a sustainable shopping and dining attraction that is home to numerous small businesses, which set up shop inside more than two dozen, 250 sq. ft. re-purposed shipping containers and 41 modular metal cubes. 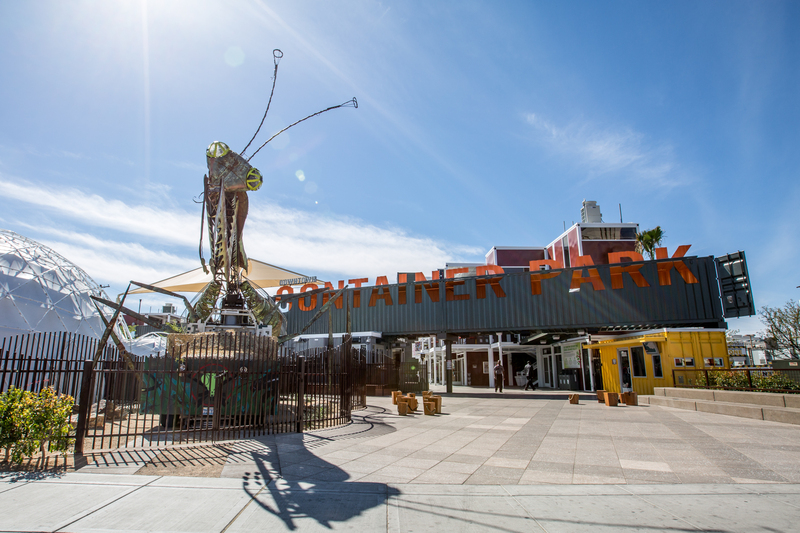 The Downtown Container Park also has a center courtyard with a giant tree-house playground, a stage for live entertainment, and its iconic, fire-breathing praying mantis! 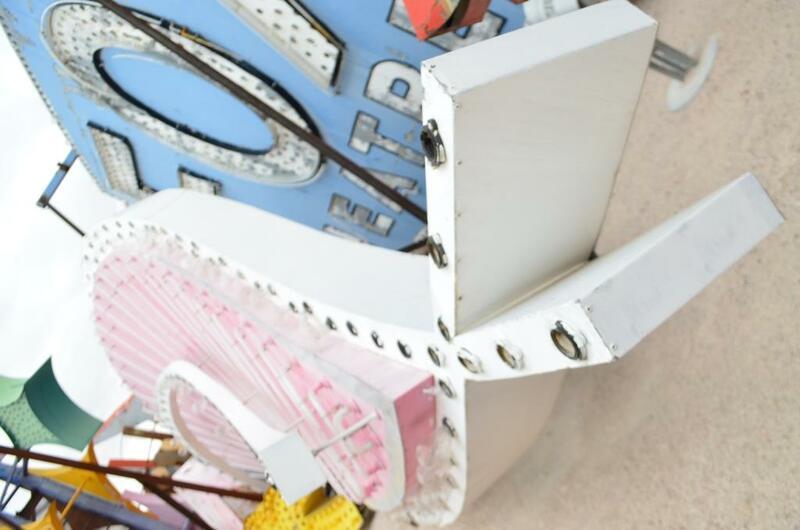 Often overlooked by visitors, the Neon Museum is a hidden treasure chest of history and stories on casinos, mobsters, celebrities, and downtown Vegas that should not be missed. It offers guided tours by volunteer patrons who may share insights of Las Vegas that you will not find on any travel guide or an online search! 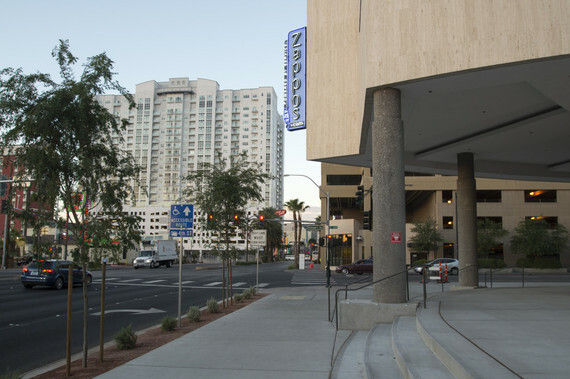 Culture took a front seat in downtown Las Vegas in 2012-2013 with the openings of the iconic $453 million Smith Center for the Performing Arts, as well as the DISCOVERY Children's Museum. The Smith Center offers a modern twist on the classic Art Deco style of architecture and is THE place to be if you want to experience the innovative performance of Cabaret Jazz. 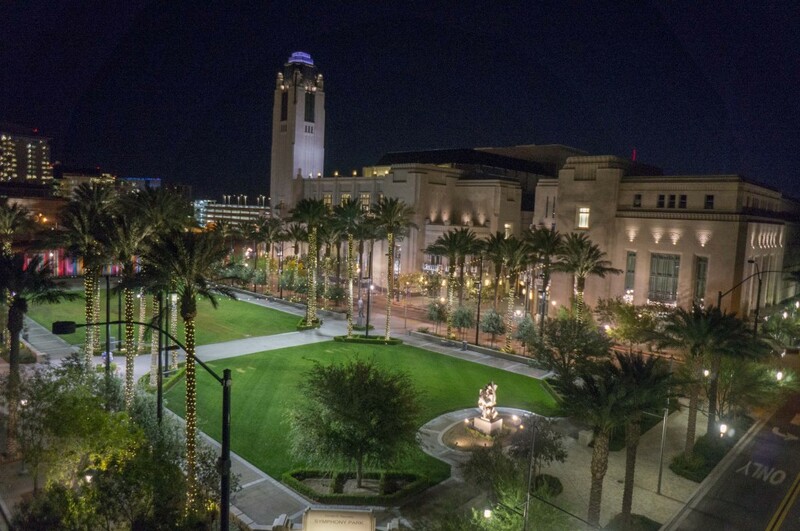 The Center is located in front of Symphony Park, a brownfield site that has transformed in to a vibrant and delightful "Oasis" within the "oasis" in the desert. If all the walking in Downtown makes you hungry, grab a bite and drink at Park on Fremont that spruces up Downtown Las Vegas with innovative bar fare and an eclectic art collection set in a laid-back area for dining indoors and antique tables in a lush garden outdoors. 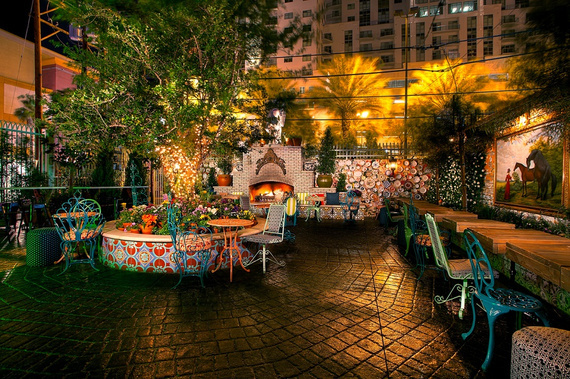 Within the premises is a secret garden that most patrons are not aware of. I admit that the Cirque Du Soleil brand is now entrenched with Las Vegas, perhaps even more so than the iconic casino hotels. However, it deserves a mention no doubt for the spectacular performances that defy the laws of physics. Plus, it's of Canadian origin. Go Canada! The Lion Habitat Ranch in Henderson, Nevada (further south of the Las Vegas Strip) is family owned and operated and houses the lions that were formerly at the MGM Lion Habitat. The MGM Habitat closed and the lions cannot be returned to their natural habitat. Thus the Ranch is a sanctuary for the king of beasts. The ranch is fairly new as an attraction venue and therefore even most of the locals and cab drivers are not aware of its existence! But you do now! The south rim of the Canyon is close to Las Vegas and a day trip or afternoon trip is feasible at various budget levels. For those with time to spare and seeking a low budget option, Papillon offers coach bus tours to the Canyon and back with a stop at Hoover Dam from Las Vegas. For those seeking a more adventurous experience, Pink Jeep Tours offers off-roading experience in the Canyon in, you guessed it, a Pink Jeep! For those pressed for time or seeking upscale experience, there are helicopter tours that can be done in three hours or less. 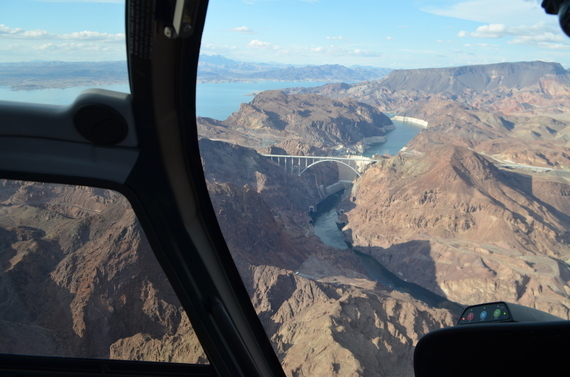 Sundance and Maverick are two major operators (in addition to Papillon) that offer helicopter tours of the Grand Canyon and Las Vegas skyline. The rides are very popular and sell out well in advance so do check the schedules with multiple operators. 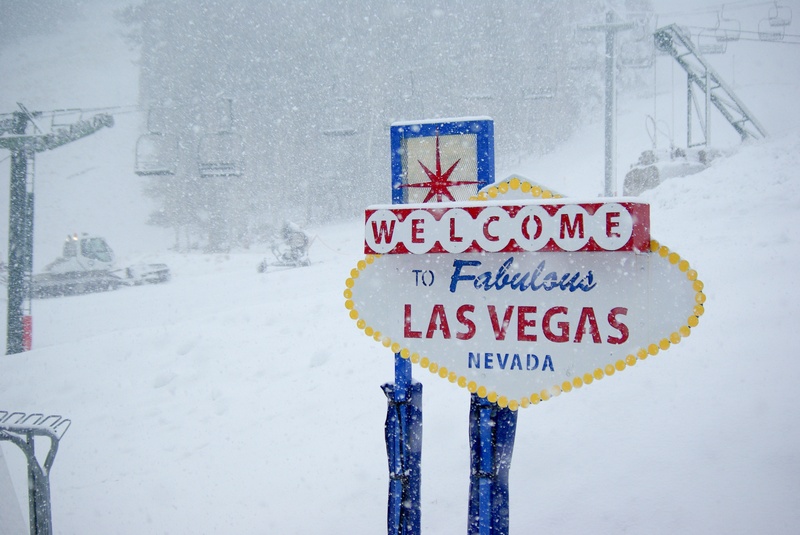 When the mercury cranks up to 40 degrees on the Strip, the cool mountain breezes on Mt. Charleston, about 45 minutes north of Las Vegas, keep the Las Vegas Ski & Snowboard Resort (LVSSR) at a pleasant 23 degrees. The winter season starts in late November, and the resort is open into April depending on the weather. LVSSR is also the ONLY place in the country where one can learn to ski for FREE! They have a complimentary coaching program where trained professionals teach skiers and snowboarders while they're out on the slopes. This media trip was partially sponsored by participating members of the Las Vegas Convention and Visitors Association. This post was not reviewed by the members prior to publication. This list is provided for general information and entertainment purposes for visitors to Las Vegas.